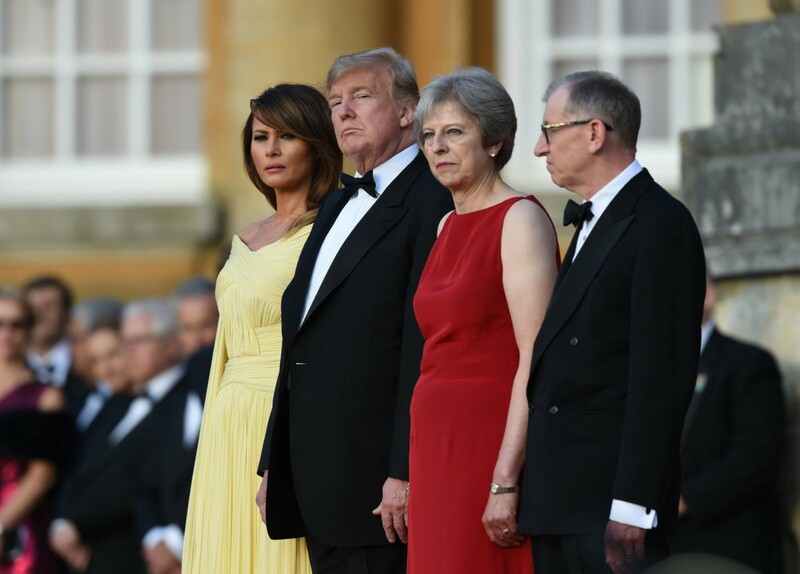 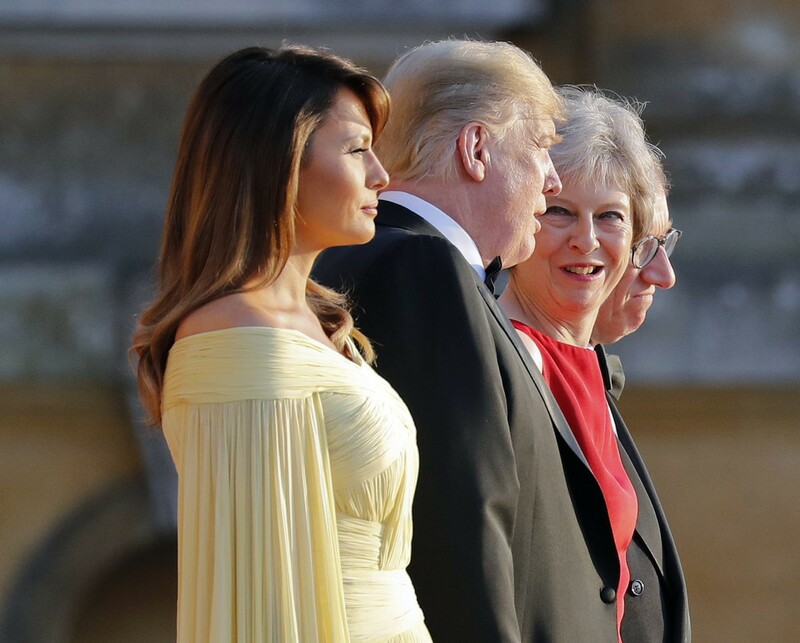 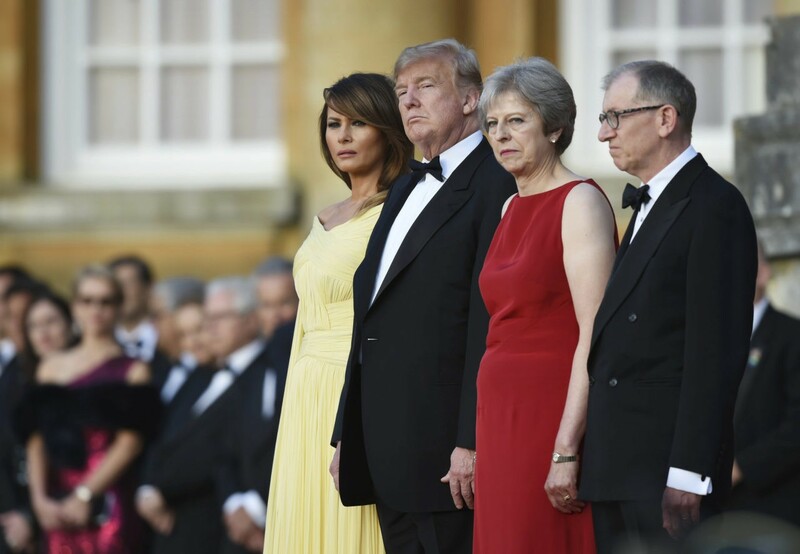 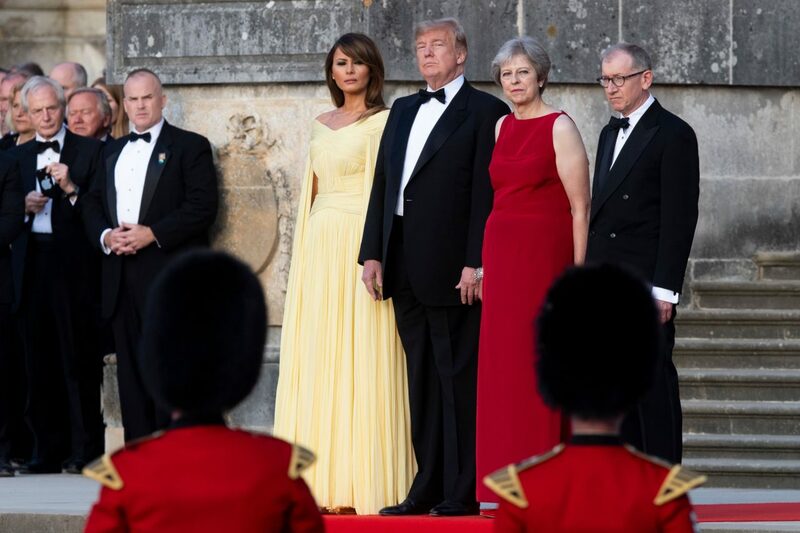 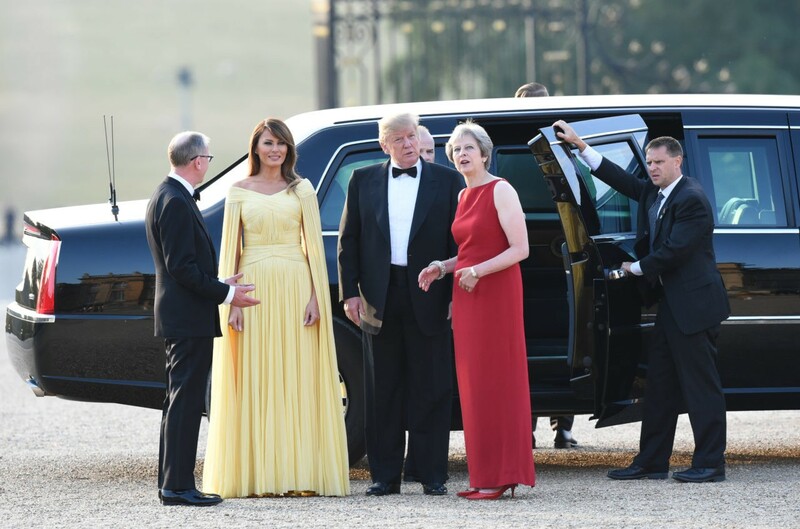 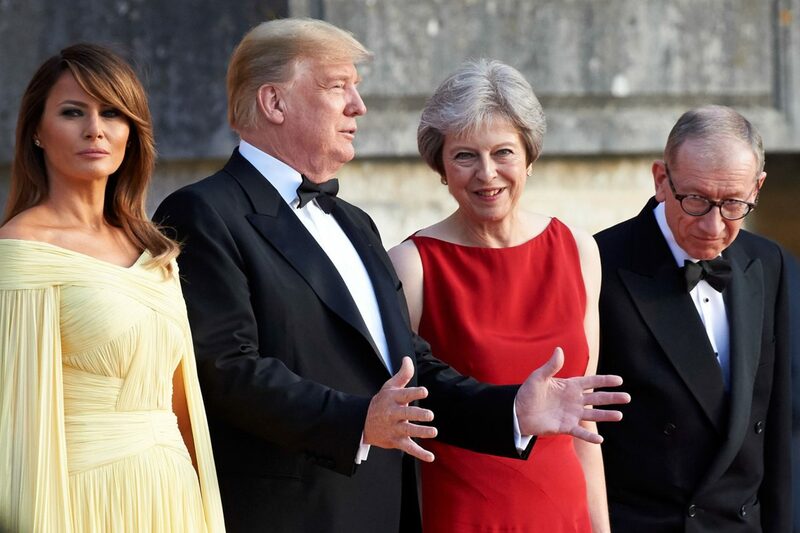 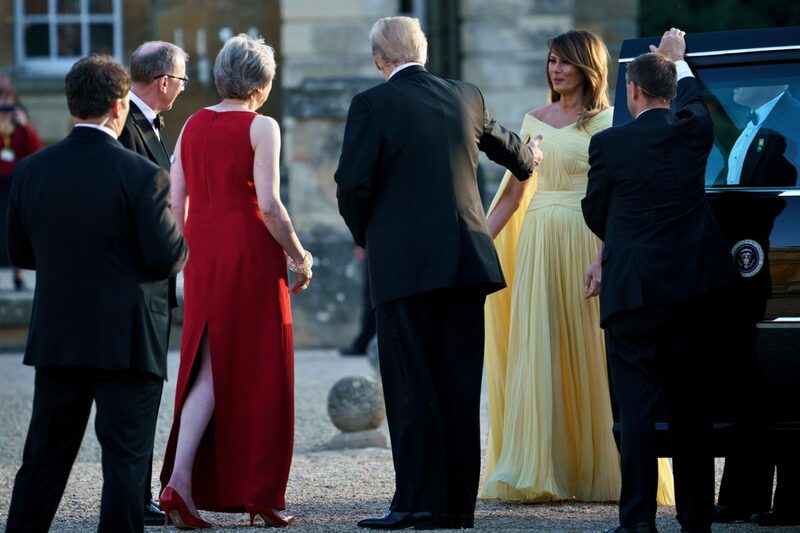 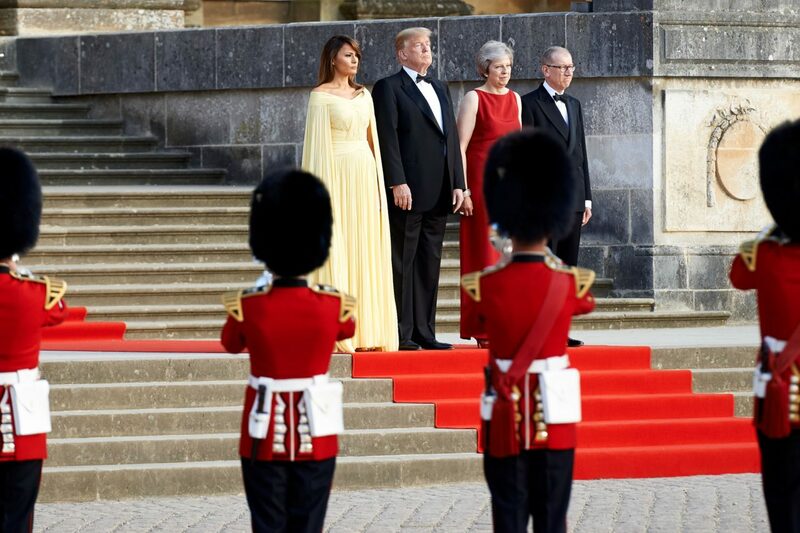 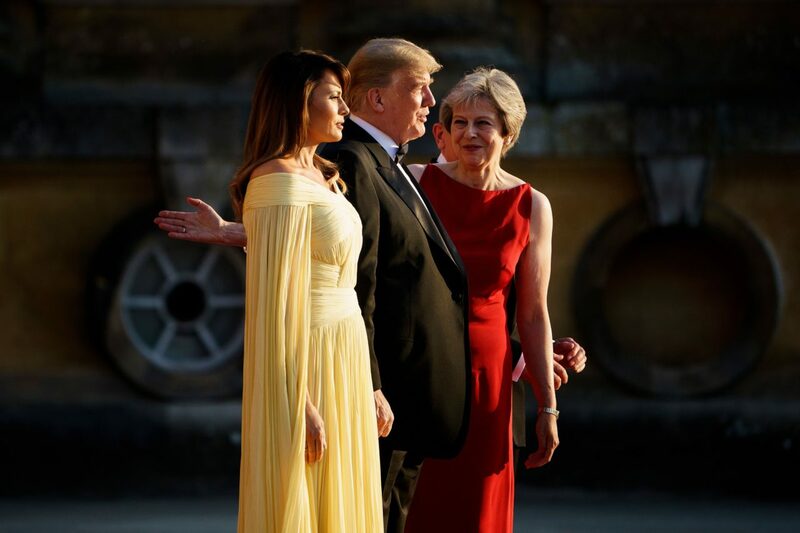 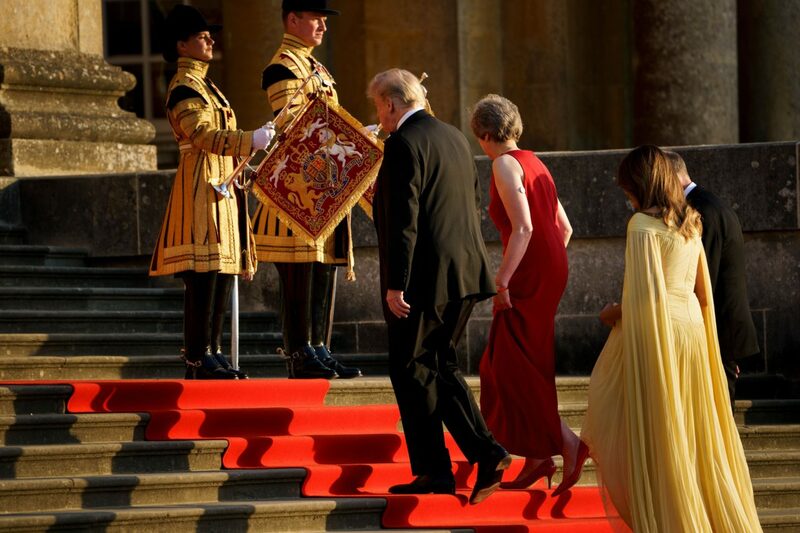 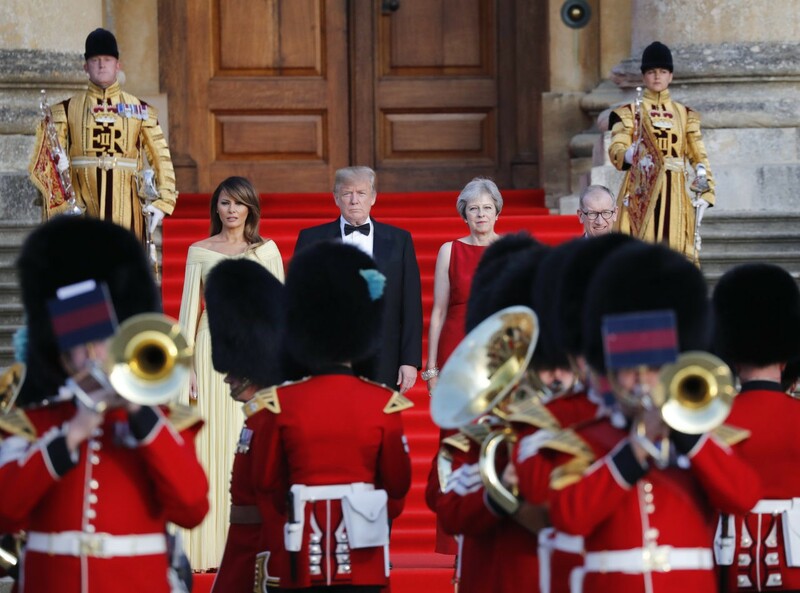 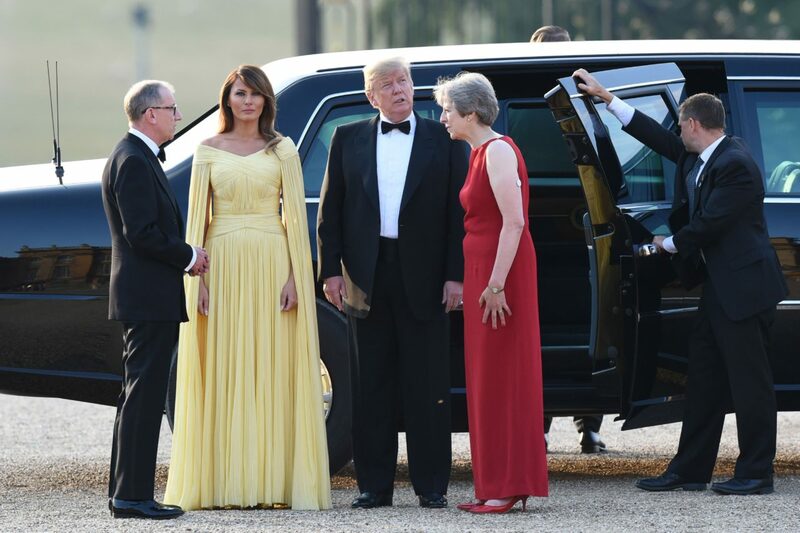 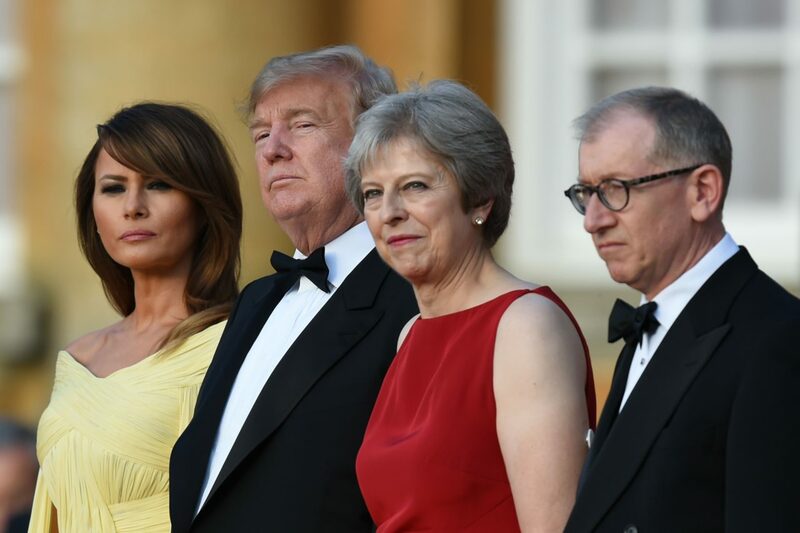 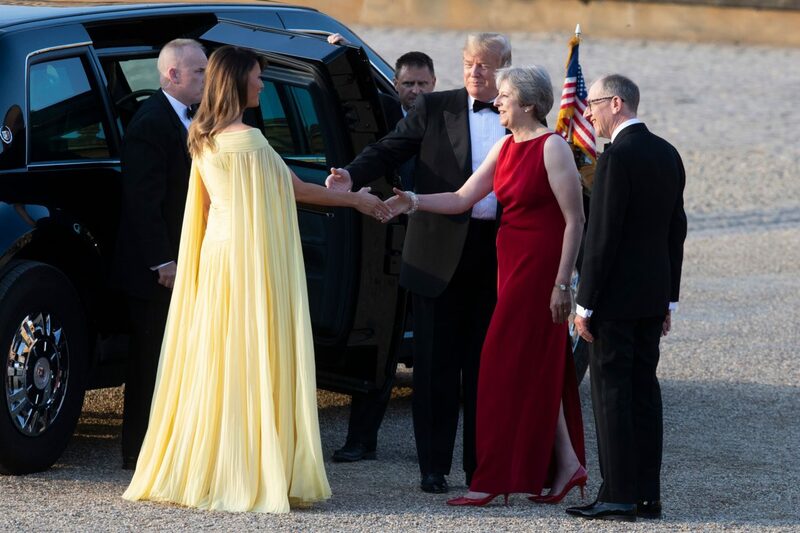 First Lady Melania Trump glowed as American royalty as she arrived for an evening at Blenheim Palace, near Oxford, in the United Kingdom alongside President Trump. 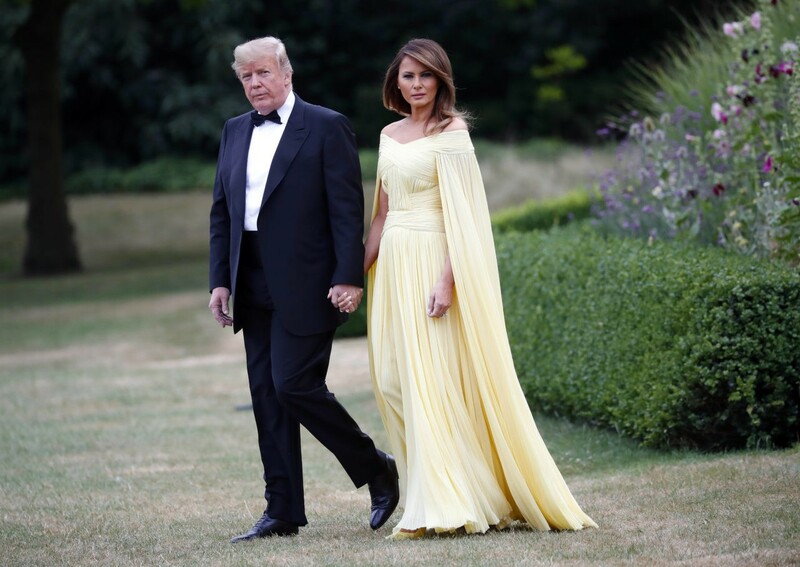 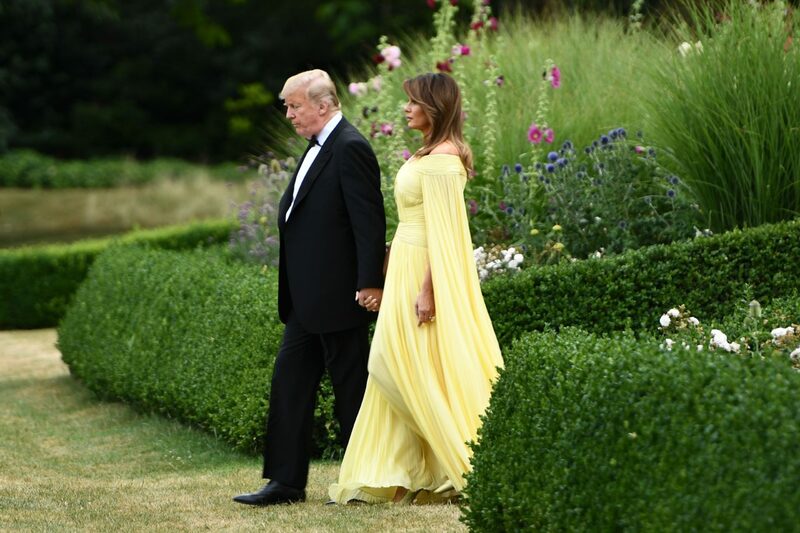 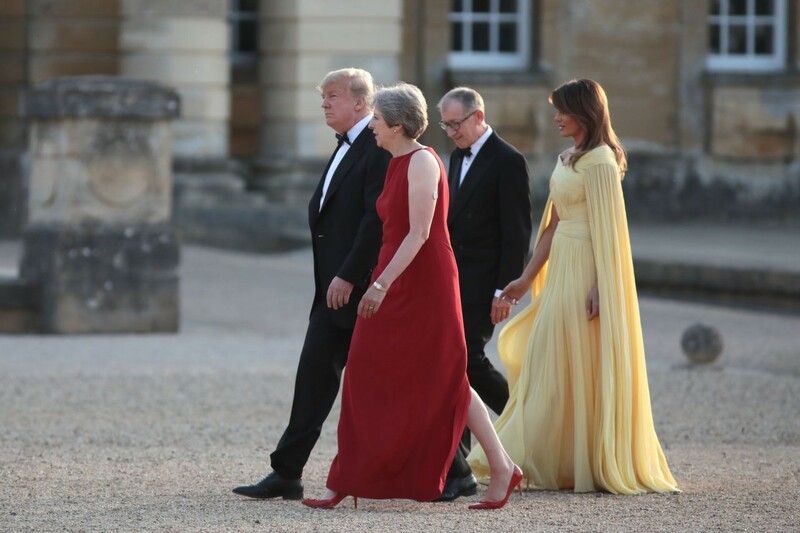 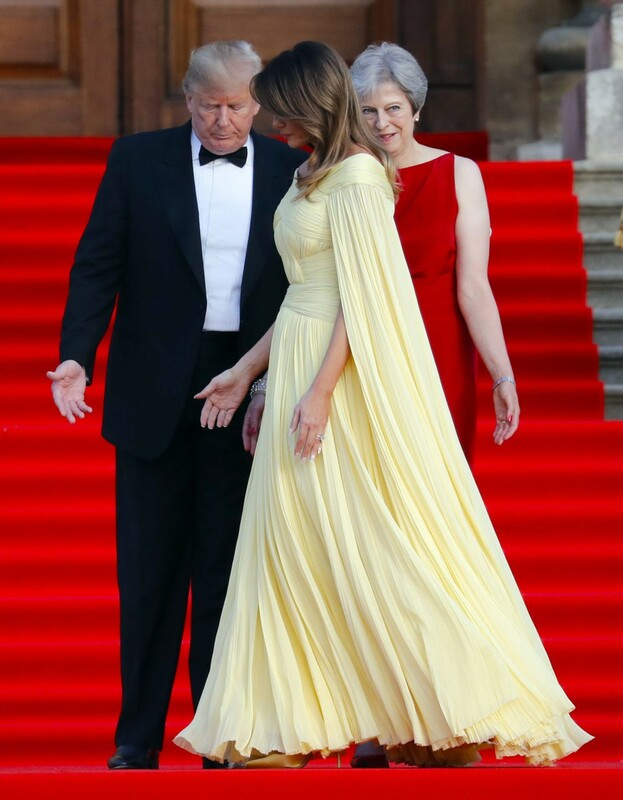 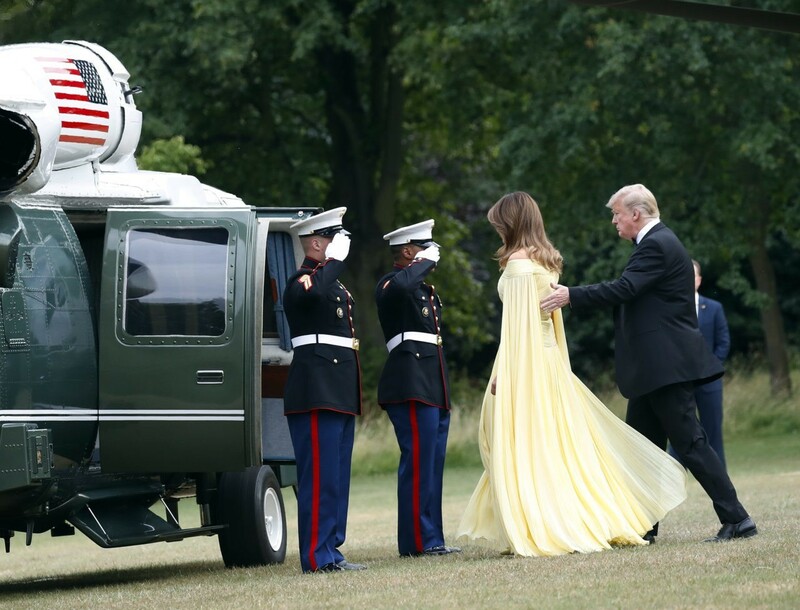 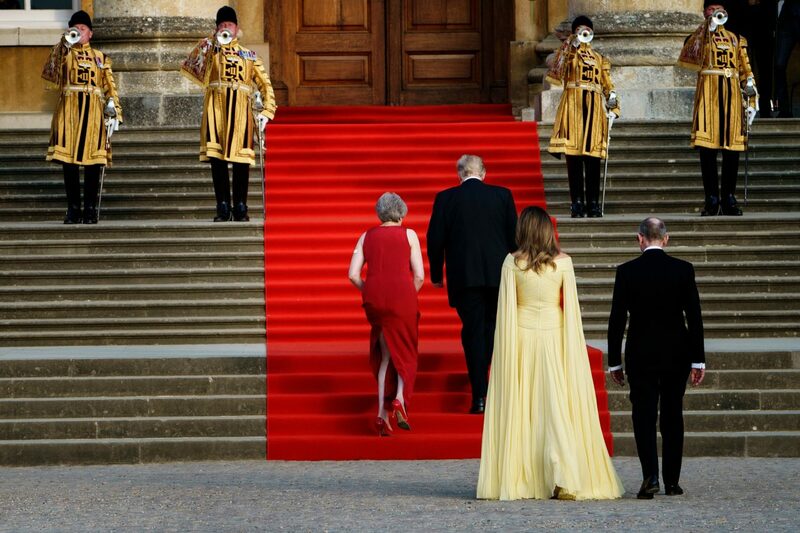 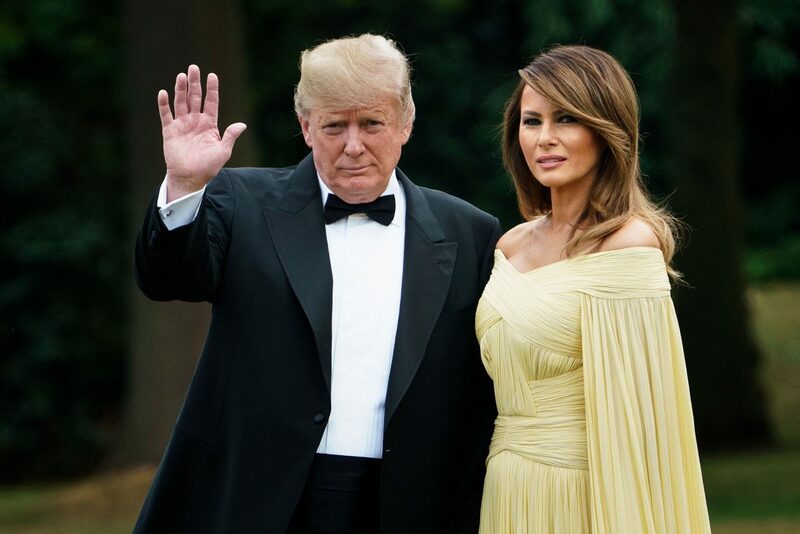 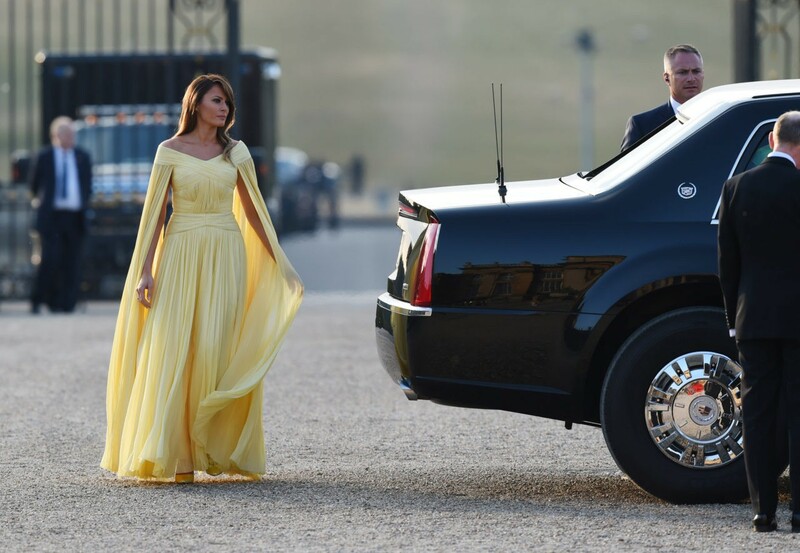 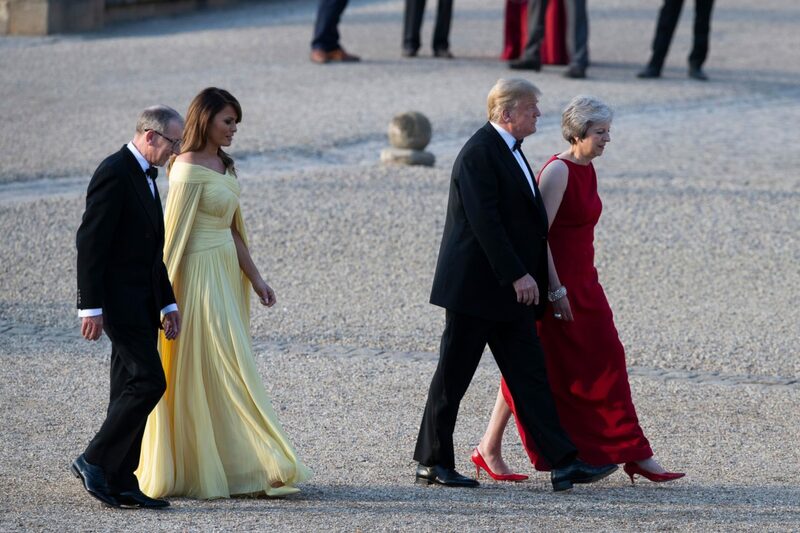 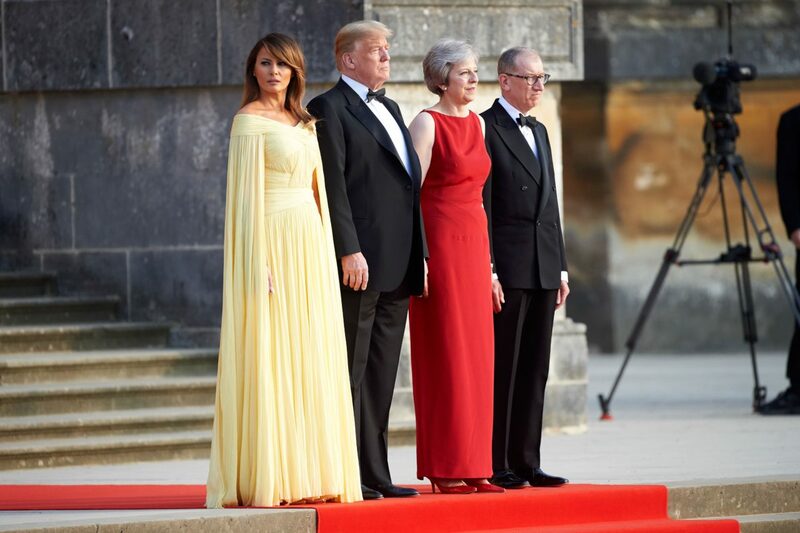 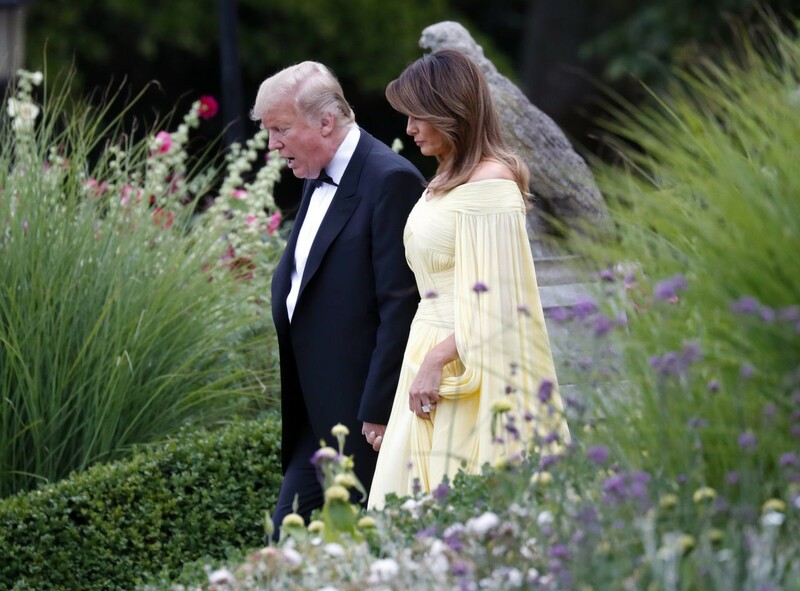 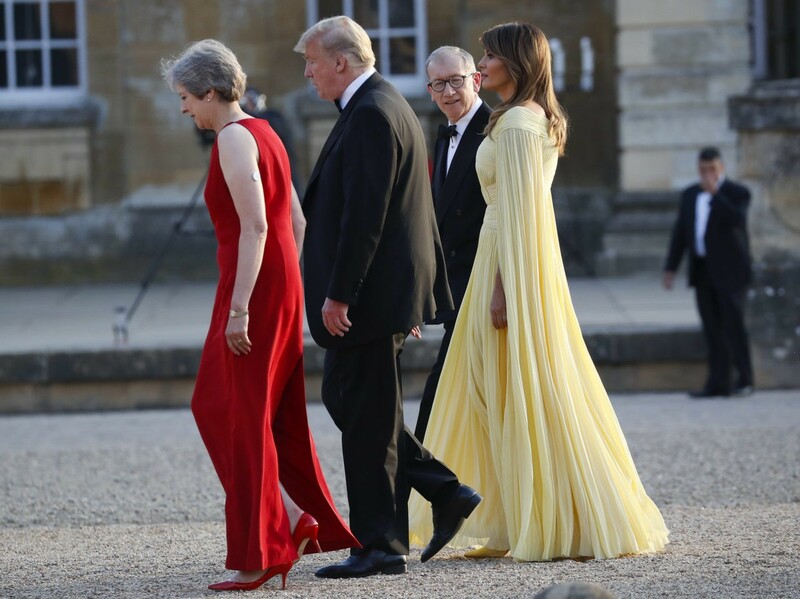 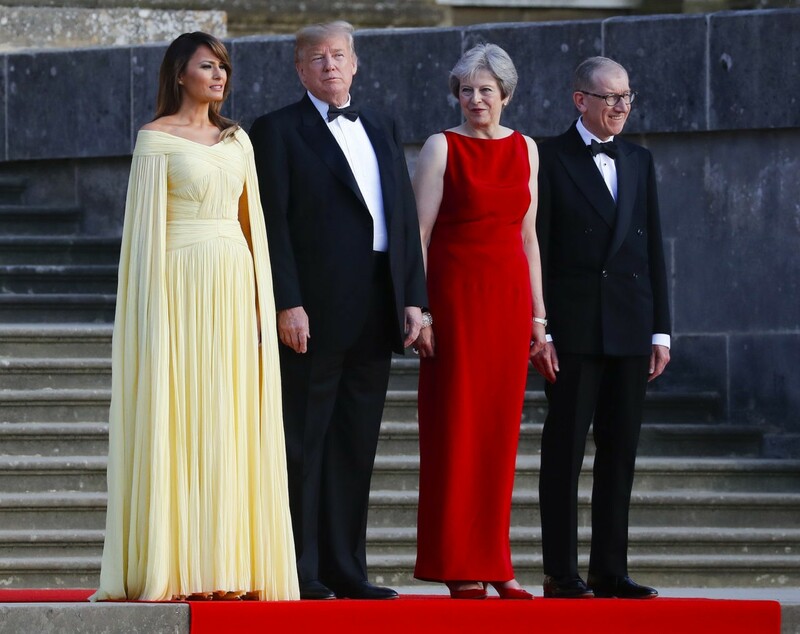 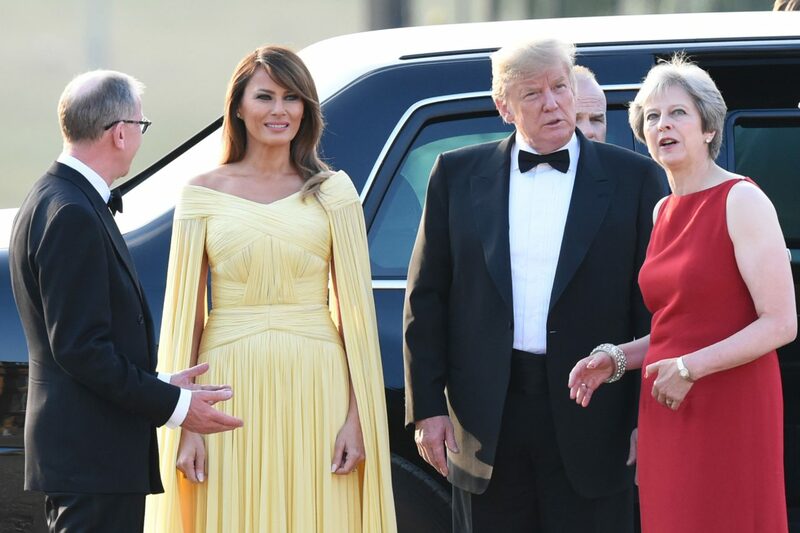 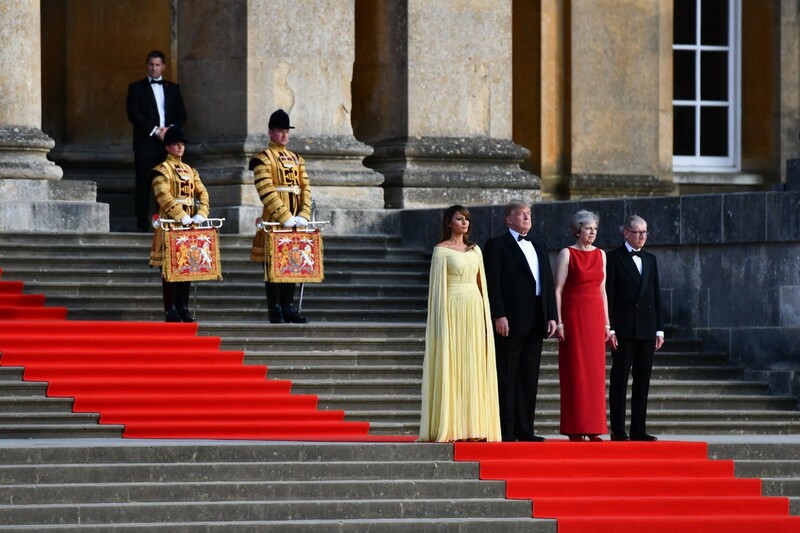 Melania Trump channeled “Belle” from Disney’s Beauty and the Beast when she stepped out with the president in a yellow chiffon, off-the-shoulder draped evening gown by J. Mendel which featured a regal cape. 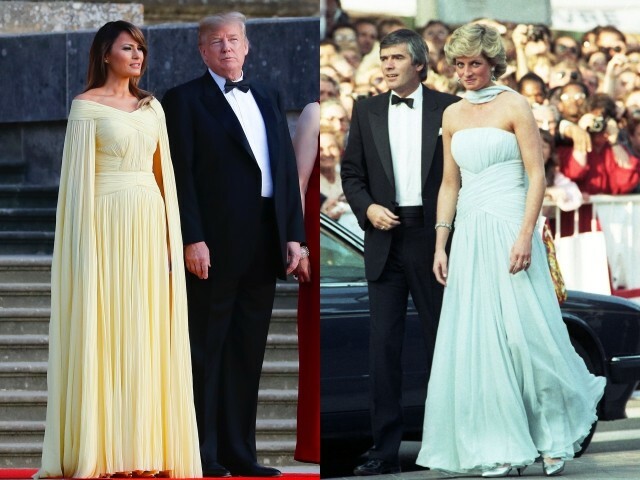 The gown is from Mendel’s Spring 2018 ready-to-wear collection and looks to be a nod to Princess Diana’s famous blue chiffon gown that she wore to the Cannes Film Festival in 1987. 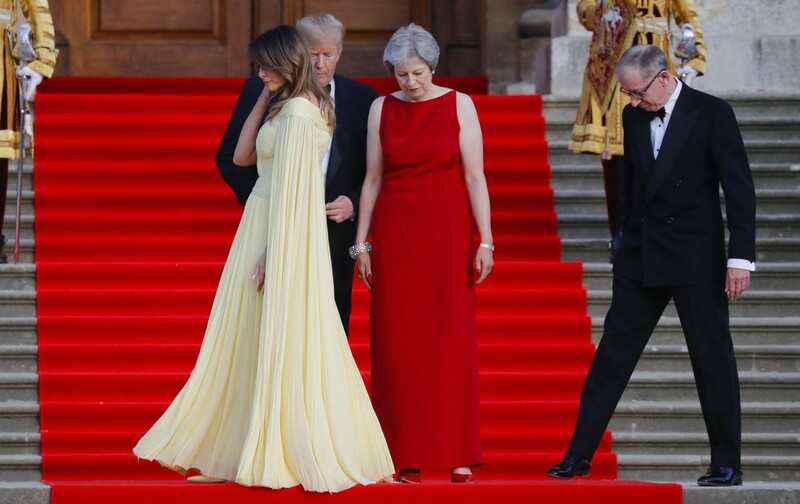 Both gowns feature a criss-cross bodice and flowing chiffon down their backs. 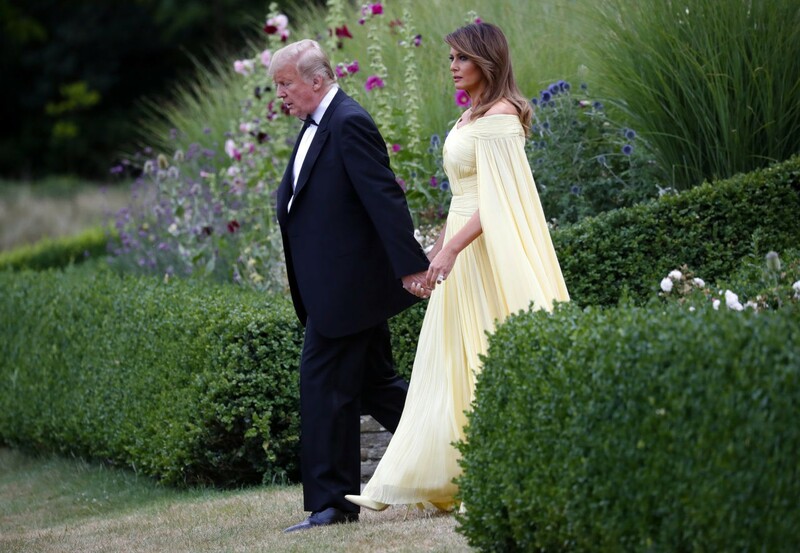 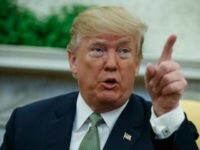 Mrs. Trump paired the beautiful gown with a matching pair of yellow Manolo Blahnik stilettoes and kept her hair waved back with a side swept bang. 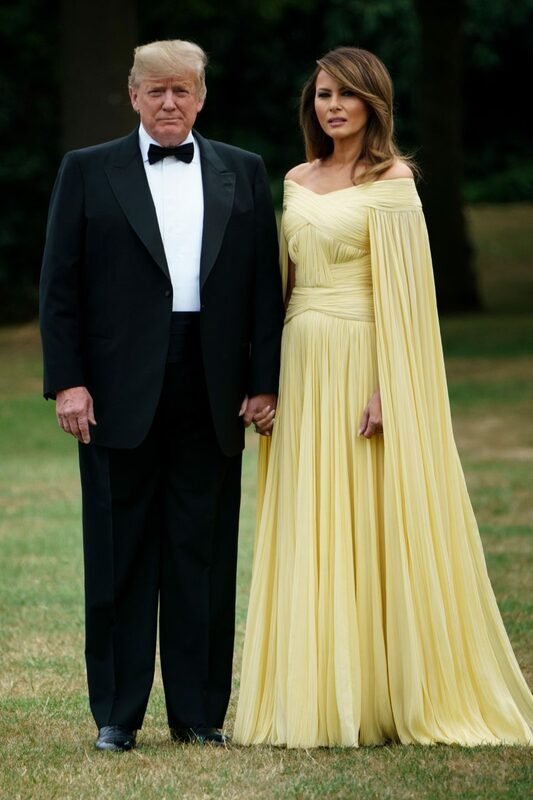 America’s own royal!